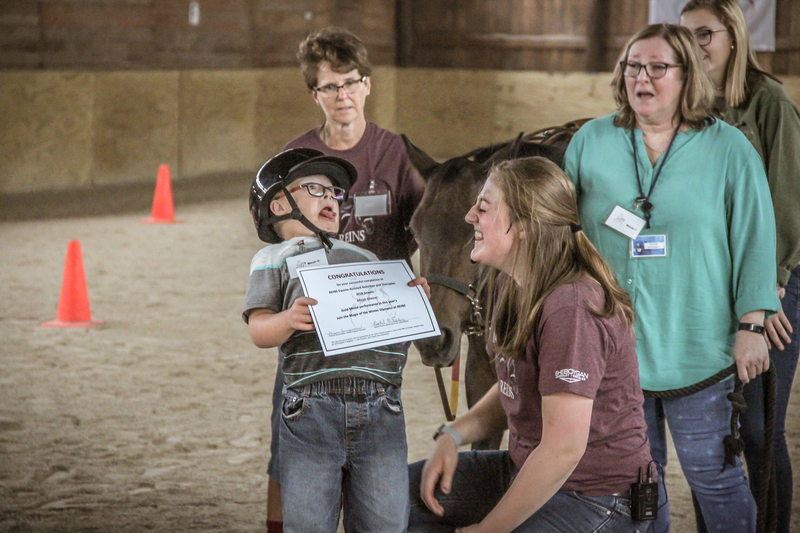 Reaching therapy goals one hoofbeat at a time. 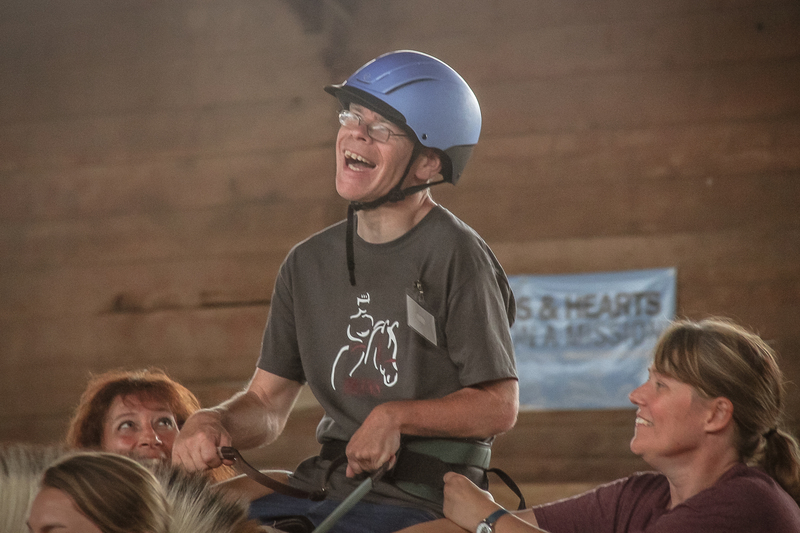 Each year our supporters make it possible for individuals aged 4 to 74 to participate in equine based therapy. This therapy makes a difference in the lives of each client. Our participants and families can say it better than we can. "Our family has loved being a part of REINS, and we feel so fortunate to have REINS in our life. We look forward to seeing Emily grow in the program, and we hope that many more individuals can benefit from all that REINS has to offer." "Thank you so much for sponsoring Paiten! The REINS program is something that will be so beneficial for her growth. The help you have provided will be so helpful!" "Thank you so much for your generous sponsorship. It has made a huge difference for Nolan. He love's riding and looks forward to it every week. Thank you again!" "Thank you for your generosity and gift of a paid full scholarship of riding. Aaron has made so much progress and has conquered a lot of fears. Thanks to REINS and your family." Thank you for blessing our family with the gift of REINS! Malachi has grown this summer in ways we could never have imagined! He is communicating his feelings, learning to positively interact with peers and is looking at us when he speaks. All of these things have been non-existent to this point." Generous sponsors like you make sure that every individual referred to REINS for therapy receives it regardless of their ability to pay. Our program will be serving 110 clients in 2019. This is only possible because of our partners believe in this therapy. Help us fund a new class clients who have been referred to us for therapy. There is no better way to close out a blessed year than by being a blessing to others. Let the Magic that is REINS continue well into 2019 and beyond.